“Our office does not render legal opinions to private citizens,” Nathan responded, suggesting his office was prohibited from providing such a service. The Education Town Hall neglected to read this statement during the on-air discussion on May 2. Without have seen it, though, Deborah Simmons, in-studio on May 2, mentioned how often this has been the AG’s position in the past. The Education Town Hall apologizes for omitting the AG’s statement. But we do appreciate knowing that the small school determination is, apparently, relevant to the school closings case… the closings were enacted, we were told, as a means of providing more resources to remaining schools. The Town Hall is even more delighted to learn that at least one listener was inspired by the May 2 show to follow We Act Radio’s motto, “Do something!” and decided to write her own letter, this time to a federal official. 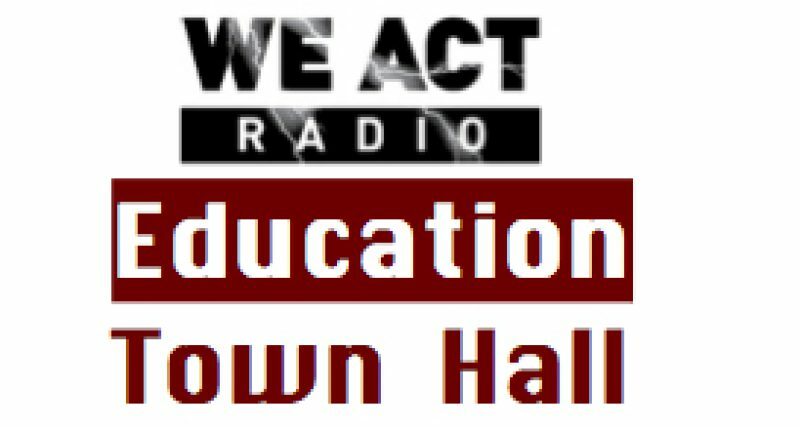 Full recording of May 2, 2013 edition of The Education Town Hall, broadcast on We Act Radio (WPWC 1480 AM in DC, http://www.WeActRadio.com). look for more information on The Education Town Hall’s blog.